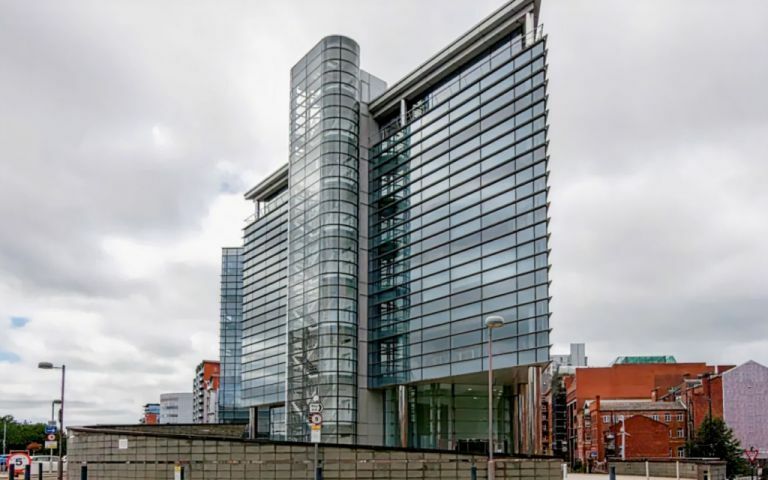 A stunning triangular glass building which offers serviced offices in Leeds,that are furnished to a high standard and are available on flexible terms. Additional services provided include secure underground parking, air conditioning, 24hr access and on-demand meeting rooms as standard. The Leeds serviced offices are ideal for those companies wanting immediate, available serviced office space in Leeds. An ideal temporary or short term office space solution, fully furnished with full internet connectivity. They can also be used for disaster recovery or business continuity situations. Longer term leases are also available upon request. Located in the city centre adjacent to the recently refurbished Leeds central railway station. The River Aire runs to the rear of the property. The Leeds serviced office is at Princes Exchange and is easily reached from the M1, M62 & A1, with convenient access by public transport. In addition, Leeds & Bradford Airport are approximately a 30 minute drive from the Centre.